Ideal for people with sun-sensitive skin, especially effective for children and people with a very fair complexion. 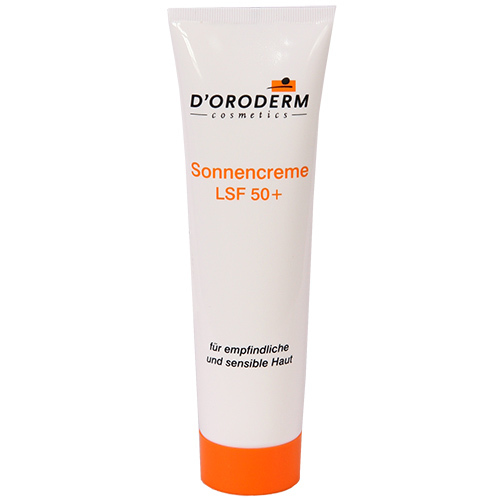 Protects the skin from sunlight by its high protection factor of 50 +. Developed by dermatologists for people with sun-sensitive skin, especially effective for children and people with a very fair complexion. It contains the free radical scavenger Vitamin E plus nourishing panthenol and shea butter. Its special formula is particularly recommended for people who sunburn easily. Use: Apply liberally 30 minutes before sun exposure and after swimming or heavy sweating. Ingredients: Aqua, Octocrylene, Alcohol, Glycerin, Ethlhesyl, Salicylate, Titanium Dioxide (Nano), Butyl Methosydibenzoylmethane, C12-15 Alkkyl Benzoate, Propylheptyl Caprylate, Pathenol, Butyrospermum Parkii Butter, Tocopheryl Acetate, Etylhesylglycerin, Carbomer, Acrylates/ C10-30 Alkyl Trimethosycaprylylsilane, Parfum (fragrance), Xanthan gum, Sodium Hydroxide, Disodium EDTA, butylphenyl Methylpropional, Hexyl Cinnamal, Linalool, Banzyl Salicylate, Limonene.